Besides the beautiful scenery in Da Nang which is well known before, Da Nang also has many new tourist attractions but also have special attraction. 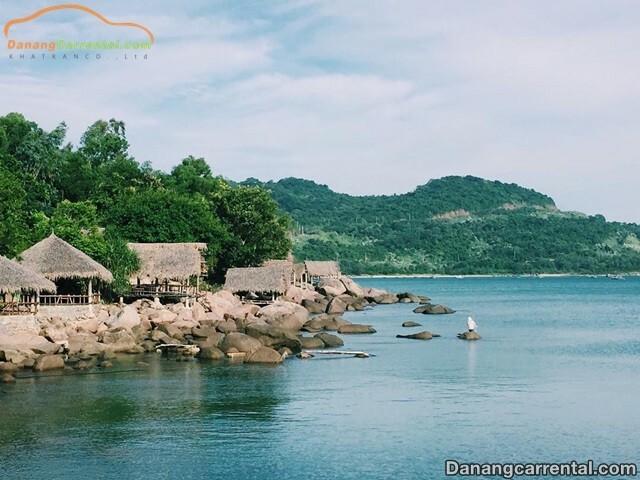 Van Village is a small village located at the foot of Hai Van Pass. Previously, this was the residence of people who had leprosy and live separate from the outside world. The village is isolated, so it is only 3 ways to the village by walk: climb up the Hai Van Pass and follow the mountain slope, take a boat from the bay or go through the train tunnel to reach Van village. Recently, Van Village Tourism emerged as an ideal check-in venue for young people, suitable for weekend camping trips. You will be immersed in the natural scenery of tranquility, quietly, far from the bustling city to find the moment to relax for the soul or to enjoy fun with relatives on the beautiful golden sand. Dong Dinh Museum is located on the Hoang Sa street (Son Tra peninsula). This is a general museum showcasing many collections by Doan Huy Giao. The museum as a memorial garden recreates the ancient features in harmony between conservation of forest ecology and cultural space art. The collection consists of two ancient houses built in the architectural style of Kim Bong and a modern architectural house built on a gentle hill that uses ecological space. the forest. Do not forget to visit Dong Dinh Museum when traveling Son Tra peninsula. Opening hours: From 8:00 am – 5:00 pm Saturday, Sunday and public holidays. Ticket price: 20,000 VND / person. Tien Sa lighthouse is located at Son Tra mountain with altitude about 223m above sea level, Tien Sa lighthouse has the mission to help ships operating in Da Nang – Hue sea area can orient and determine its position . 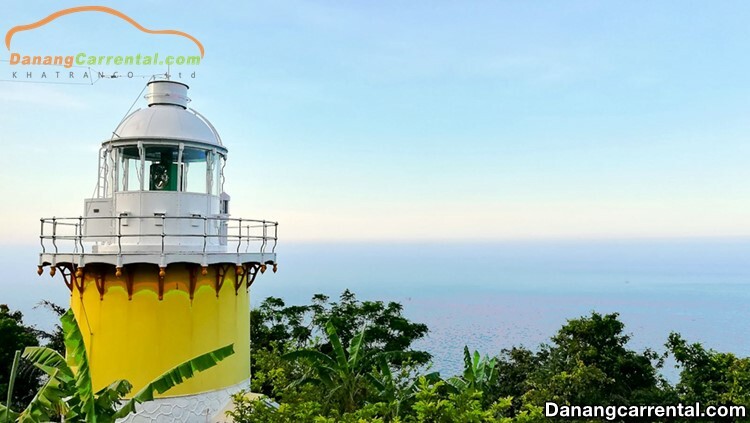 Tien Sa lighthouse is one of the most beautiful lighthouse in Viet Nam, at this location you will have a panoramic view from the mountains to the vast sea with beautiful scenery. 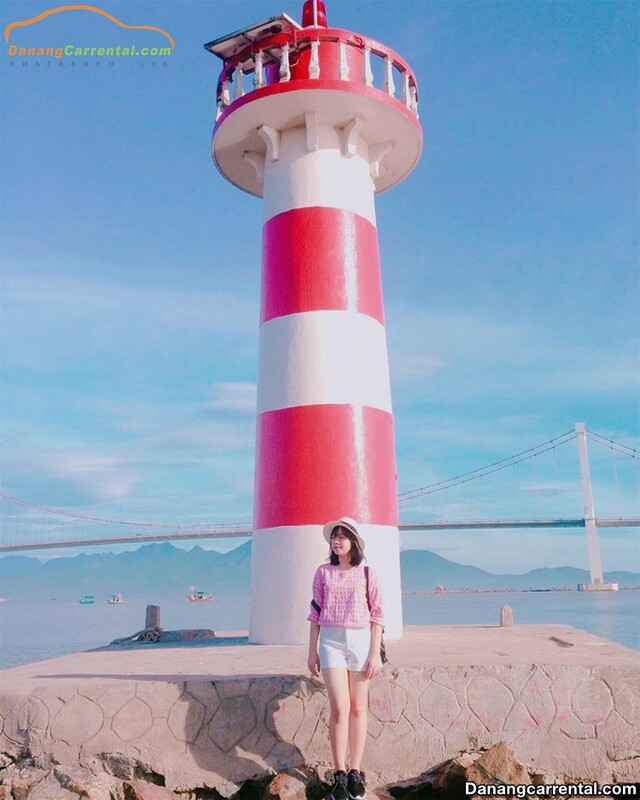 Thuan Phuoc lighthouse has the appearance of stretching out to the sea and connected to the mainland by stone breakwater, it is located near the center of Da Nang city and Thuan Phuoc bridge on the east bank of the Han River. You can go from Tran Hung Dao street, running toward Thuan Phuoc bridge connecting Le Van Duyet street, go about 1km looking toward the Han River has arrived. Here, you can clearly see Thuan Phuoc bridge and three famous bridges of Da Nang bridge Han, Dragon Bridge and Tran Thi Ly bridge. Not only that, Thuan Phuoc lighthouse is the place to take fresh air and watch the sunset so beautiful in the late afternoon. 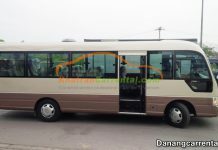 Dong Xanh Lake – Dong Nghe is about 25 km to the west of Da Nang city, Dong Xanh Lake – Dong Nghe is loacated in Hoa Khuong commune, Hoa Vang district. It is attracting many tourists by charming, sspecially suitable for weekend picnic. Dong Xanh Lake – Dong Nghe has an area of 2.4 km², covered by a green grassy, viewed from above as a watercolors painting extremely quiet. Going to Upstream exploring the streams or rent boat trips to the lake or kayaking is one of the wonderful activities you should experience when traveling here in Da Nang. The road to Rang beach has slopes along Son Tra mountain but has been as flat but not too many people and cars are crowded as tourist or other scenic spots. From the city center, it takes less than 15 minutes to reach Rang beach. Parking on the top of the hill and then climb down the rocky ridge is able to explore Rang beach, Da Nang tourist site wild, rustic feeling close to attract visitors at first sight. Most of the area at Rang beach is not yet exploited, built and diversified form tourists should visit here outside the resort can discover more interesting things. 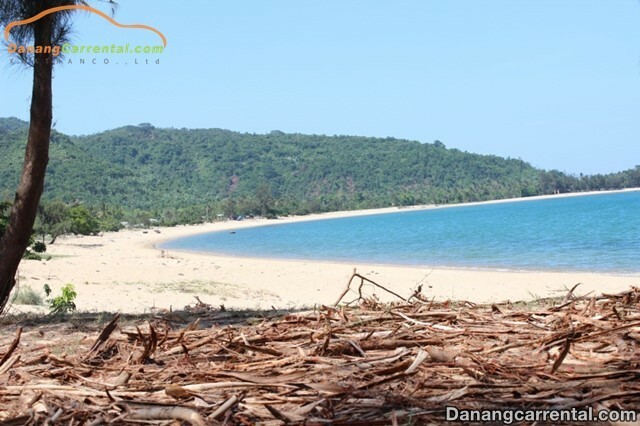 Besides, the beach at Rang Beach is separated from the residential area that is ideal for those who love to watch the sea or immersed in the blue sea, diving to see the coral. 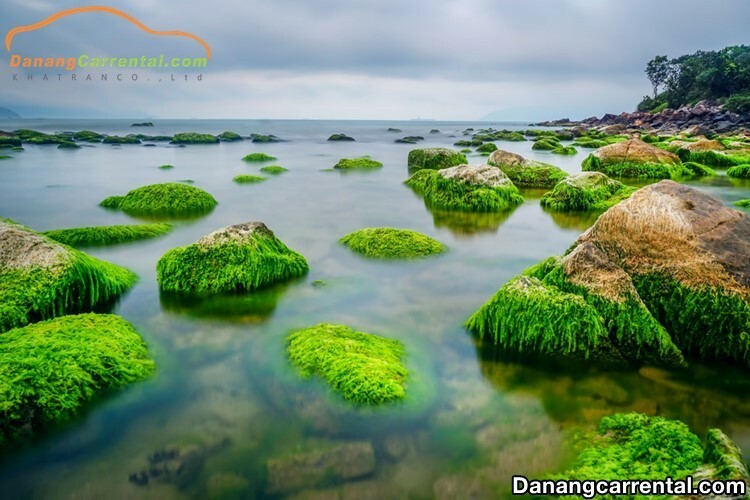 Ghen Bang is a peaceful place with a coastline of about 2 km, surrounded by numerous small rocks and green trees on the Son Tra peninsula, about 20 km from the center of Da Nang. People often come here to admire scenery, tourists are almost absent. This made the natural scenery in Ghenh Bang almost retained the original wilderness with large rugged rocks, golden sand and golden sun, with shadow of the coconut lines. Travelling Ghenh Bang – Da Nang, you should try a scuba diving the coral experience with glass self-made rent in the shack on the shore. Just with fishing rod and bait is enough for another hobby is fishing in Ghenh Bang. You will be relax, relieve stress and have booty treat your friends. Nam O Nam always provokes curiosity, fun for those who have ever come to. However, Nam Nam Reef is still a new tourist destination for many tourists. 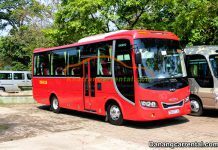 Because of in most of the journey to explore Da Nang, there are few tourist company that bring Nam Nam Reef to the route. Nam O village is also famous for Nam O fish sauce. 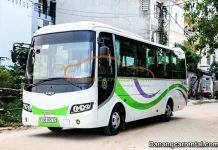 With the list of 8 new tourist attractions in Da Nang, Kha Tran hopes to bring you many interesting suggestions to have more wonderful experiences when traveling the beautiful coastal city of Da Nang. 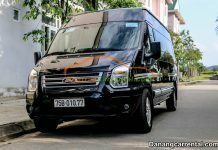 For more specific advice or rent cheap car to visit famous sites in Da Nang, do not forget to contact Kha Tran Car rental via hotline Ms Anna: (+84) 916510201 or Ms Katharine: (+84) 34 797 6789.